When you tell people you have been to Portland, the first question most of them ask is “Did you go to Voodoo Doughnut?” and the second question is “how was it?” If you aren’t familiar, Voodoo Doughnut is a Portland icon. 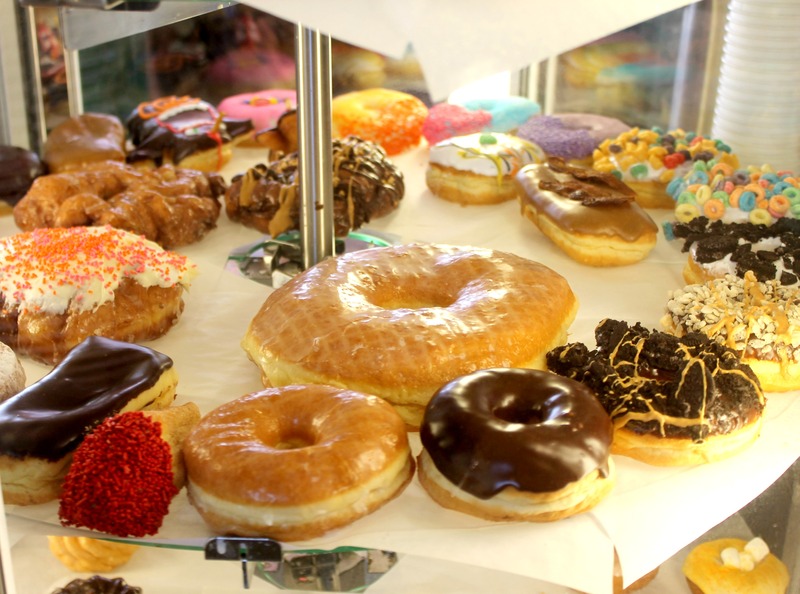 The doughnut shop has been featured on shows such as Man vs. Food, and millions of tourists trek there each year to get their doughnuts in the trademark pink box. Of course, getting the doughnuts proved to be more complicated than I initially anticipated. The first time we went to the original location the line was wrapped around the block at 8pm. (Voodoo Doughnut is also open 24/7 with the exception of Christmas, New Year’s and Thanksgiving). After standing in line for about 15 minutes and realizing the line wasn’t moving at all, we decided to abandon ship and try to get the doughnuts the following day, and decided to try going in the afternoon in the hopes that the heat would steer the crowds away. 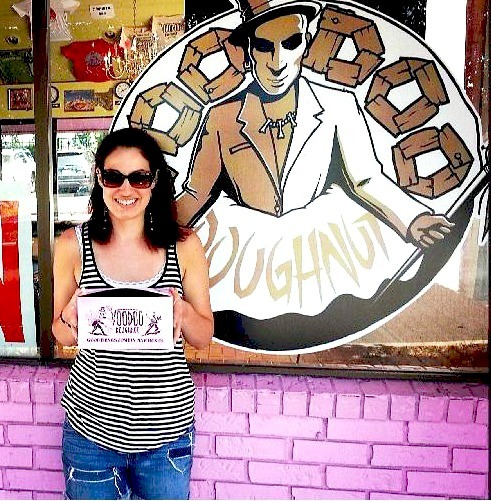 The next day we made our way over to Voodoo Doughnut again, eager to get our own pink box of delicious doughnuts. You can only imagine my disappointment when I saw that the line was twice as long as the day before! And given the fact that it was 90 degrees out, neither of us wanted to stand in line in the blazing sun. So once again we walked away empty-handed and I drowned my sorrows in a few glasses of prosecco. After some googling and yelping in the hotel room later, it was decided that we would go to Voodoo Doughnut Too, located in East Portland. The second location had the exact same selection as the original but was not as crowded. The next morning (two days after our first attempt), we hopped in our rental car and drove the 10 minutes over to East Portland and found ourselves in front of Voodoo Doughnut Too with a line of about five people. Victory was ours! We made our way inside the doughnut shop and instantly became mesmerized by the rotating display of doughnuts. 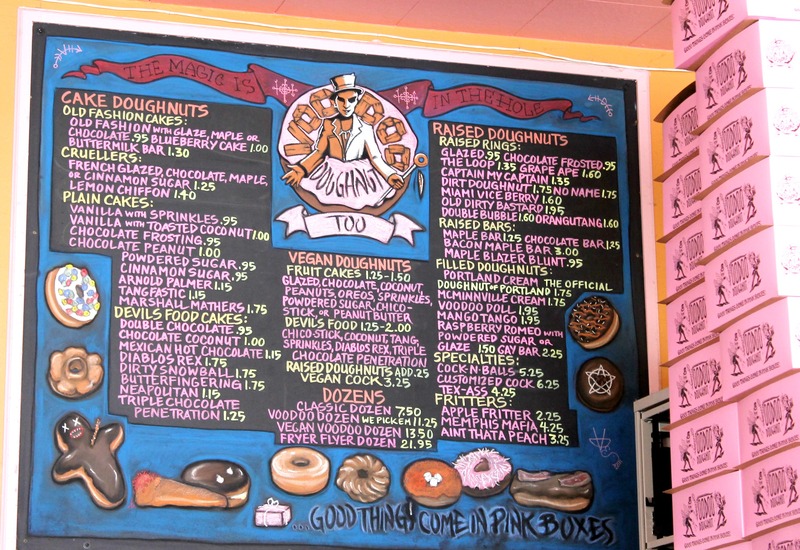 Voodoo Doughnut is best known for their eclectic menu and flavor options such as the Voodoo Doll doughnut, the Bacon Maple Bar, the Portland Cream and Captain my Captain doughnut which is topped with Captain Crunch cereal. We kept it on the simple side and stuck with the Voodoo Doll, a Butterfinger doughnut, a chocolate doughnut, cinnamon sugar doughnut, chocolate doughnut with crushed nuts and the Portland cream. Victory was ours! I finally had a pink box full of doughnuts that had alluded me for the past three days. But now it was time for the real test. 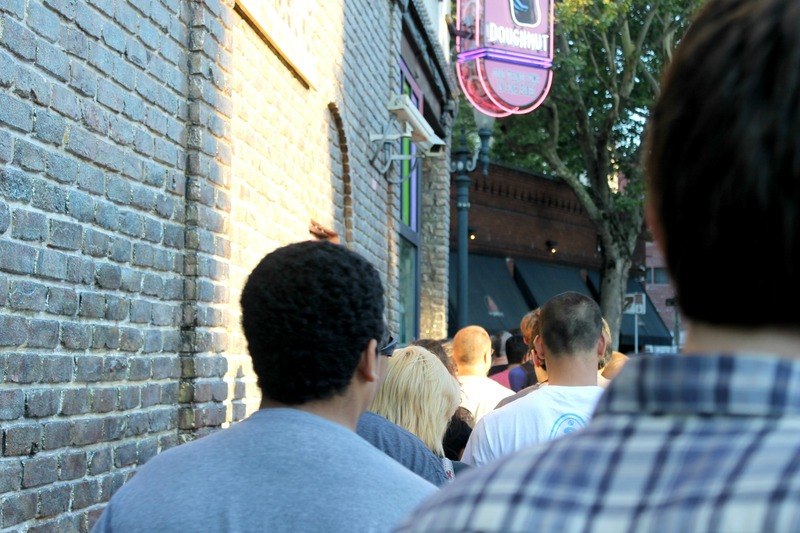 Would the Voodoo Doughnut live up to the hype? After tasting the doughnuts, I have to say I am very glad I did not wait in line for an hour for these. They just tasted like your regular doughnut and not sprinkled with any special voodoo magic. I have to say that I much prefer Sidecar Doughnuts in Costa Mesa to the ones at Voodoo Doughnut. However, I am glad that I tried Voodoo Doughnut. They may have been a bit underwhelming, but they were ridiculously cheap (a lot of flavors are less than a dollar) and the doughnut shop is just one of those things you have to do when you visit Portland. Just don’t go to the original location and wait an hour for them. 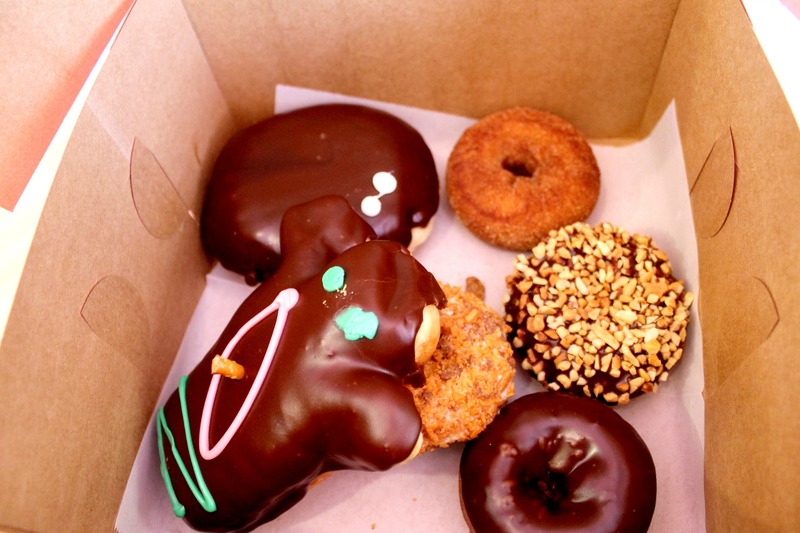 And if you ever make it to Orange County, be sure to check out Sidecar Doughnuts, and you’ll see what I’m talking about. We bought some doughnuts to bring back home as all our friends and relatives were excited to try them as well. We had so many boxes with doughnuts that I thought we should have rented one of those passenger vans to your fleet. We just could not come back home without doughnuts, you know. This entry was posted in Dessert, Life, Travel and tagged doughnuts, Portland on August 15, 2013 by allie@sweetpotatobites. A co-worker was just telling me about Voodoo Doughnuts, but I’m such a big fan of Sidecar not sure any others would stack up! Exactly! I mean they just tasted like a regular old doughnut – not that it’s a bad thing, but Sidecar set the bar pretty high with all their unique flavors. Also, if I ever go back to Portland I am totally going to VooDoo! I’ve heard so much about it! Thanks for the comment and the nomination 🙂 I need to check this blogging community award out! 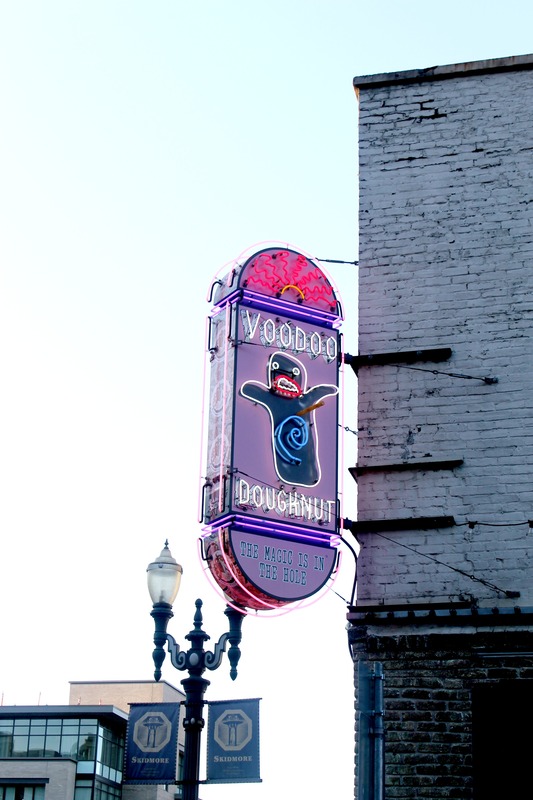 VooDoo is a definite must try for the experience alone – but go to the Eastside location to avoid the crowds.